Note: While this review will be spoiler free it will reference previous. If you haven’t started this series yet, check out VBC’s review of book 1, Getting Wilde. From the start of the series, there’s been a huge mystery following Sara around regarding her past. A past where she used her gifts to help the Memphis Police find missing children. When one of those cases resulted in the death of her mother, Sara ran. She changed her name, and for ten years has been hiding, but she’s never forgotten. With the appearance of Brody Rooks a few weeks ago, memories she thought long hidden were brought back full force. Now the unsolved case that changed her life in so many ways is back, and it’ll be time for Sara to face some facts she never looked too closely at, but will invariably affect all those around her in the end. Third time is definitely the charm with this series. 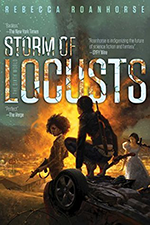 Jenn Stark has most certainly found her groove in writing Sara Wilde’s adventures, and I’ve definitely grown accustomed of what to expect when reading said adventures. I think it helps that Born to be Wilde deals so much with Sara’s past. We’ve been prepped for the time when her past would have to be tackled, and I liked that it happens now. I don’t know how many books Stark plans in this series, but dealing with Sara’s past (not necessarily solving everything, but at least airing it all out) allows for such new and excited growth to be able to happen in upcoming stories. While not everything is directly dealing with the ghosts of Sara’s past, all surrounding events do circle back to it. I think this works out well because readers (and Sara) learn a lot in this book, but it never seems overbearing. While I can’t say that everything was a complete surprise, things were also not blatantly obvious/expected either. All the things we learn felt like a very natural progression. 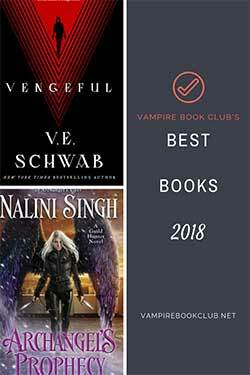 If there’s a sense of vagueness to my review, I apologize for it, but if you’ve read the other books in the series you know the event to which I’m referring; the event that causes Sariah Pelter to flee from Memphis and change her name to Sara Wilde. The event that has pretty much dictated the way/reason Sara lives her life. This information is needed going into this book, if I tell you what is learned along the way, it would be completely spoiled, but suffice it to say, this is definitely not a book that should be picked up randomly in the series. 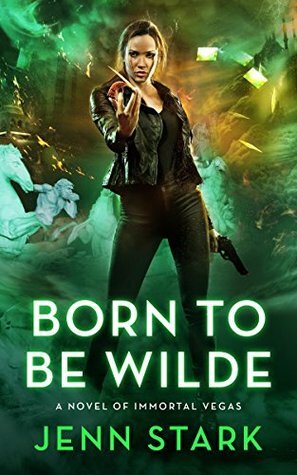 Born to be Wilde was a real pivotal story both for Sara personally and between her and a certain Magician (you didn’t really think I’d go through a whole review without mentioning him did you?). I cannot even say how completely excited I am to find out the repercussions of the decisions made in this book. Not all seems like it’s going to be coming up roses in the next book. But because Jenn Stark is completely awesome with the writing schedule, we won’t have too long to wait.